Police were called to separate the men off-ice with one minute left in a bantam game. A West Vancouver hockey dad was arrested for scrapping with another parent at his son's minor hockey game over the weekend. The Hollyburn Huskies A1 Bantam team was hosting Semiahoo when the fight broke out off-ice, reported CBC News. The 45-year-old father from West Van allegedly started the scuffle by grabbing the other parent, a 67-year-old Langley man. Police were called to separate the men and the alleged attacker was arrested, according to a news release. The victim later reported bruising and officers have recommended charges of assault. The game only had about a minute to go before the brawl broke out, but the referee was forced to end things early because of the unruly behaviour. “As soon as there’s parents fighting, the game is over," Jack Cummins, Hollyburn's hockey co-ordinator, told the North Shore News. "I'm sure everybody is really embarrassed about it. It's an embarrassing moment for minor hockey." It's just the latest in a string of hockey incidents involving parents. A Burnaby, B.C. dad was given a conditional discharge after he threatened his son's teammate. The team had just lost a playoff game when Terry Litt, 57, lost his cool in the dressing room, and directed his anger at the nine-year-old victim. In February, a 52-year-old Kamloops man was accused of confronting a referee in the parking lot outside an arena. RCMP said the man's son had to hold him back as he shouted at the ref, eventually punching the official's car as he sped away. 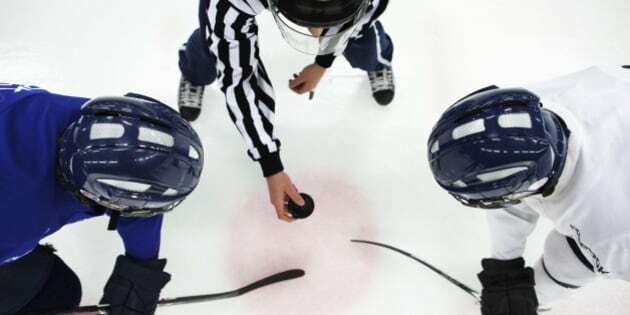 That same month, the Vancouver Island Amateur Hockey Association banned five hockey parents who allegedly shouted threats at referees and opposing players.